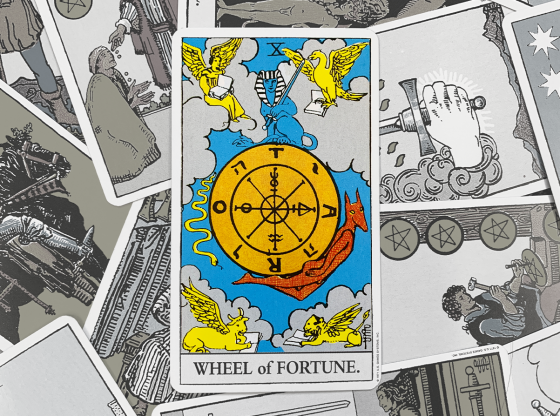 The Tarot deck has four suits and each of these has a royal court to oversee it. 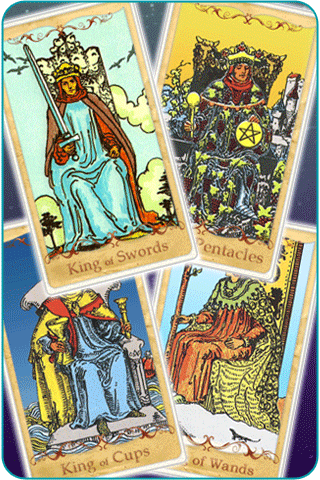 The numbered suits of Cups, Wands, Pentacles and Swords are lined up beneath their Page, Knight, Queen and King. 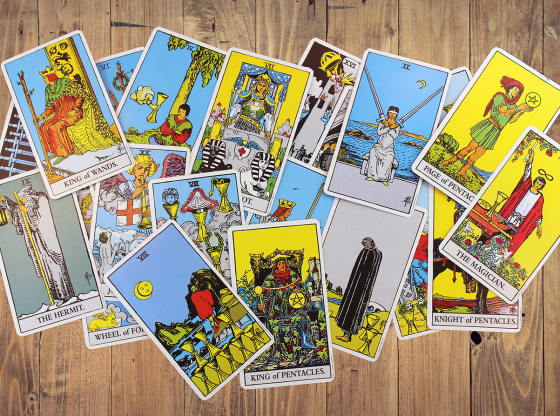 When your Tarot reader reveals a court card, your reading takes on more personality. When a King appears, the intensity of a father figure or other prominent authority takes center stage in your reading. 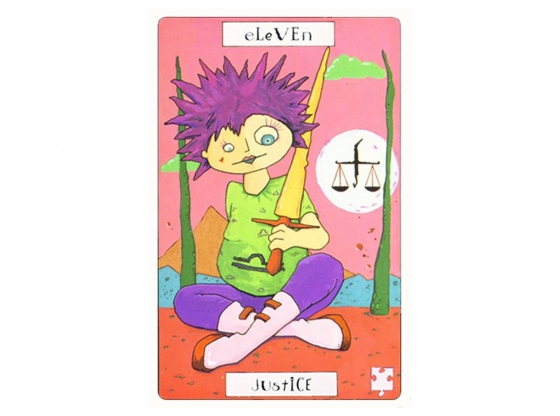 In each suit’s royal court we have distinct personalities revealed by a card. Pages are youth, Knights are transformative experiences, Queens are maternal and nurturing people in your world and Kings are the bosses, the leaders and the final word. 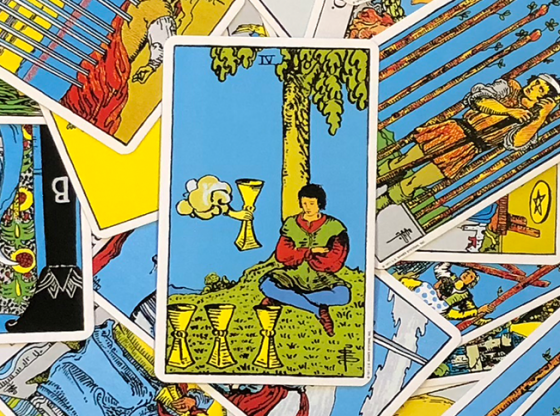 A King card in your reading makes things limited and certain but also delivers results that are more concrete, more absolute and of a longer lasting impact. 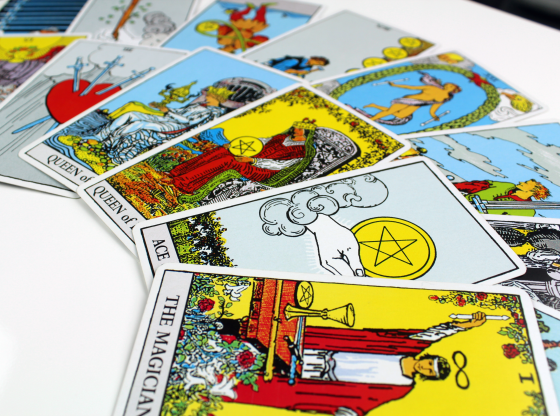 Each Tarot reading has designated areas representing your past, your present and your future. When a King card is placed in your past position this almost certainly represents your father in most circumstances. 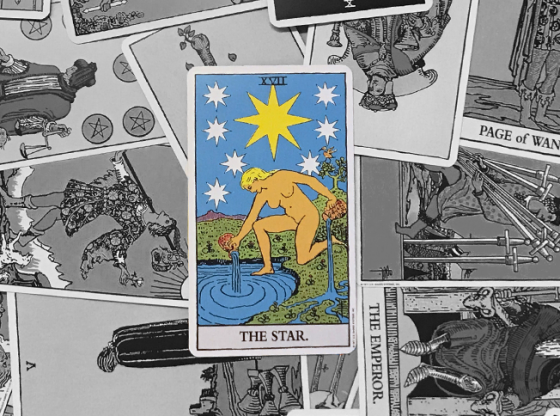 Having your father show up in the past instructs you and your Tarot reader to consider the influence of family on your upbringing and the role structure did or did not play in your development. 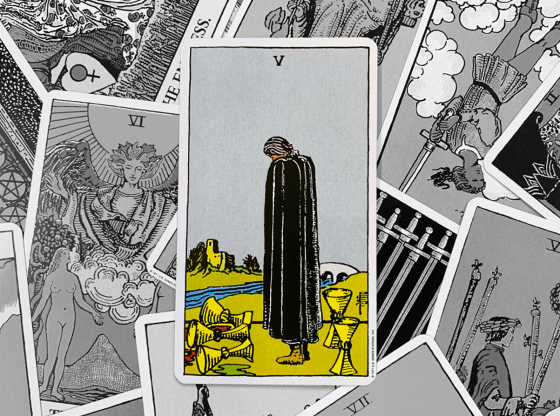 The King of Cups is the most emotional of the Kings and his appearance here might deliver a breakthrough understanding of your father’s complete role in your development. A King card in the past position can refer to a father figure as easily as your biological father. Any of the king cards could represent a domineering man in your past who loomed like the archetype of an almighty king in your life. In the present position a King represents your subconscious drive to lead yourself to better places. 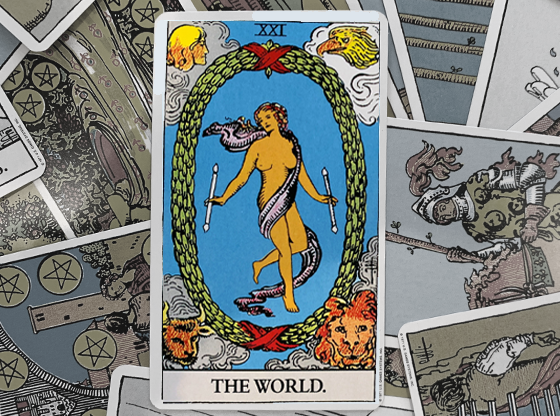 Maintaining structure and keeping the status quo in place are hallmarks of the king cards and in the present position any King stands as a harbinger of less chaos and no revolution. 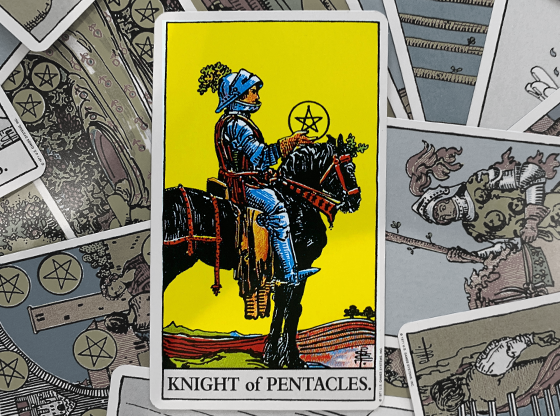 If you are thinking about starting a relationship with a stable man or have taken a job with a firm chain of command, a King card in the present position represents these situations and is generally considered to be a sign of good fortune. When any of the King cards is dealt into the future position, stability ahead is almost assured. A domineering leader is headed your way. You might be getting a job in your chosen career and be put under a manager who has high expectations. Any King in the future position also indicates that you will have a clearer idea of what you can and cannot have in life. A feeling of certainty and a pleasure in reaching your comfort level makes for good times ahead. Kings combine well with many cards but can also be indicators of intense relationships, especially with men and bosses. 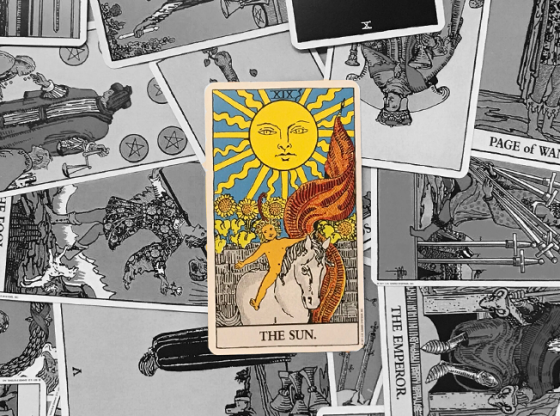 Your supervisor or professor might be a woman but she could have enough imperious traits to be considered a reflection of the King in your Tarot reading. When there is more than one King card in your reading, there is a strong leadership issue being put front and center into your consciousness. Check out these cards below that combine quite intensely with the King. This is a classic “crush” reading that will likely leave you only fantasizing about a man, especially if this is a professor or the husband of an acquaintance. This is a classic soulmate reading. This portends for true love to become a solid reality in your life soon. The intense authority you are under is backed up by a large institution. This can create a great sense of comfort if you are aligned with this institution. But a King card paired with the Hierophant might indicate an organization that leaves you just cause to be paranoid. The King card might represent a third wheel in a relationship. Any one of the Kings, no matter the suit, might be an old boyfriend who is still lingering. This is also an indicator of a disapproving father or of a love relationship that defies society’s taboos and conventions.